This is the story of Haley entering 11th grade as a senior. If you’re reading these blog posts in order, you are probably thinking “Go home, Allison, you’re drunk. Haley just graduated with her GED!”. And you would be right. But Worldschooling doesn’t always work in logical ways. 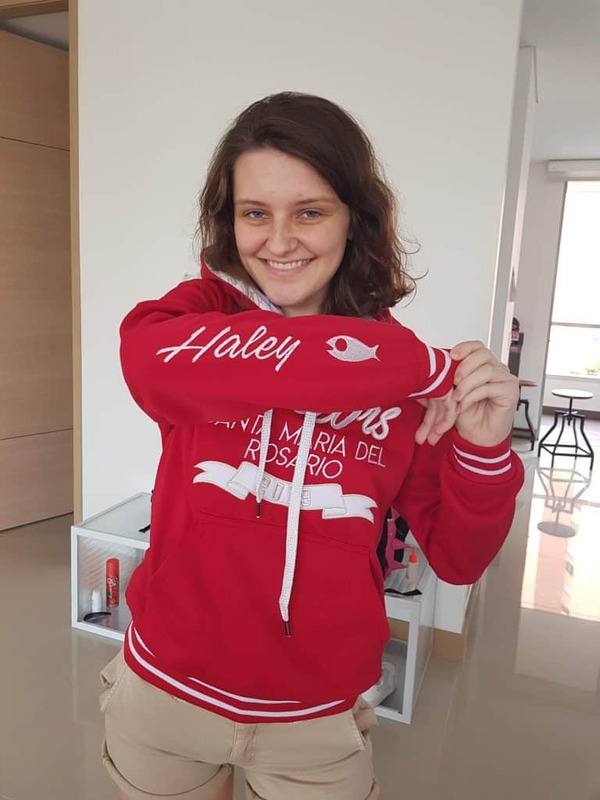 In January of 2018 Haley entered the local school Santa Maria del Rosario as a 10th grader. At the time of enrollment, Haley would have been halfway through her 10th grade year in Arizona. 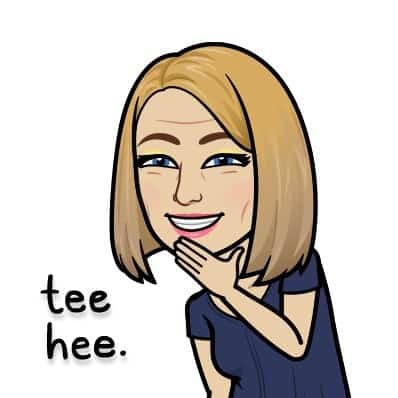 The school suggested she join 10th grade because they had fewer tests than 11th and Haley might find it more enjoyable to be with that group of girls. Great suggestion. 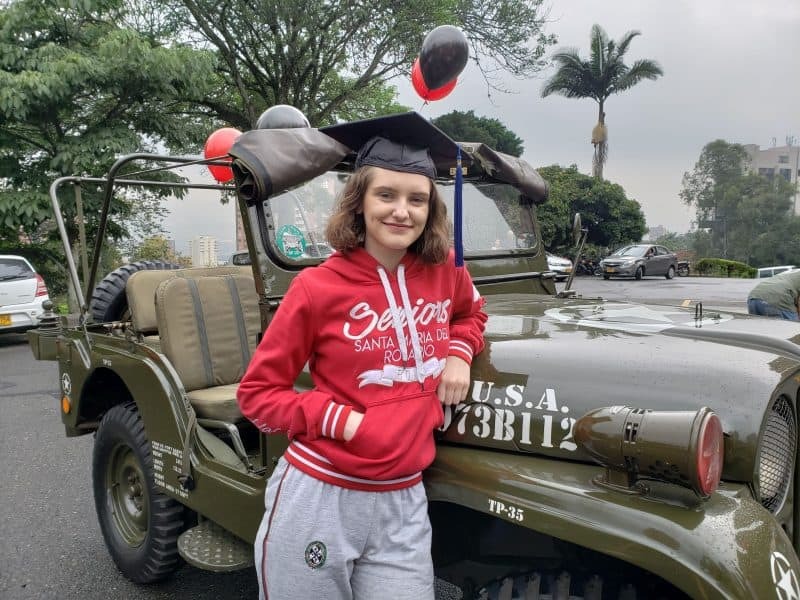 Now, a year later, Haley has finished her entire 10th grade at this private Catholic school (100% in Spanish, by the way) as well as having finished her GED. But we still have a few months before we move on to our next country. What to do? Keep going to school, that’s what! Local school is a great way for the niñas to practice their Spanish, learn a few things from a few classes and be with peers. The Shermaniñas attend local school as asistentes, which means they do not take tests or get grades. It’s really a cultural and language experience for them. So Haley returned to school this month, at the start of the school year, as an 11th grader. 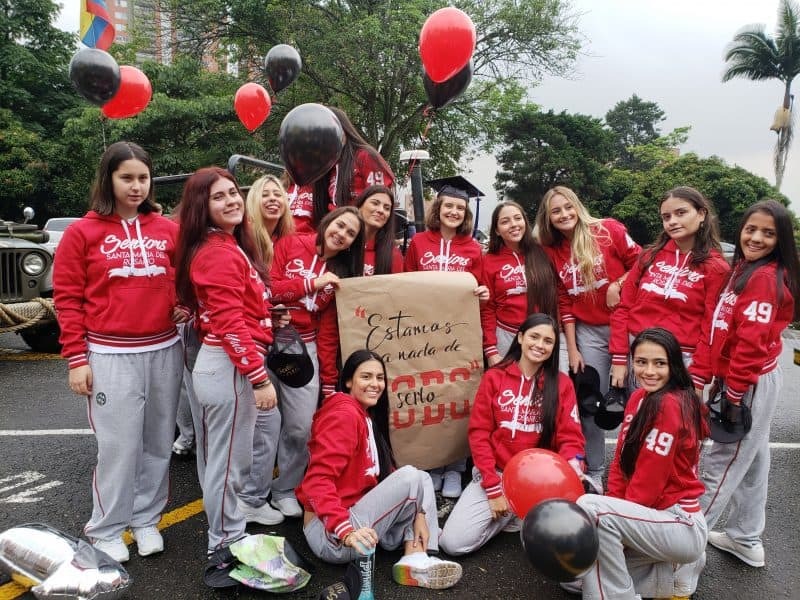 Eleventh grade here in Colombia is considered a senior, since it’s the final year of high school. So for Haley, in the last 6 weeks, she’s gotten her GED, had graduation, and gone back to school as an 11th grade senior. In that order. Makes sense, right!? Right!!!?? Zoe and Haley on the first day of 7th and 11th grades. We learned last year that the first few days of school everyone wears PE uniforms because their schedules are not yet determined. When in doubt, wear the sweats! 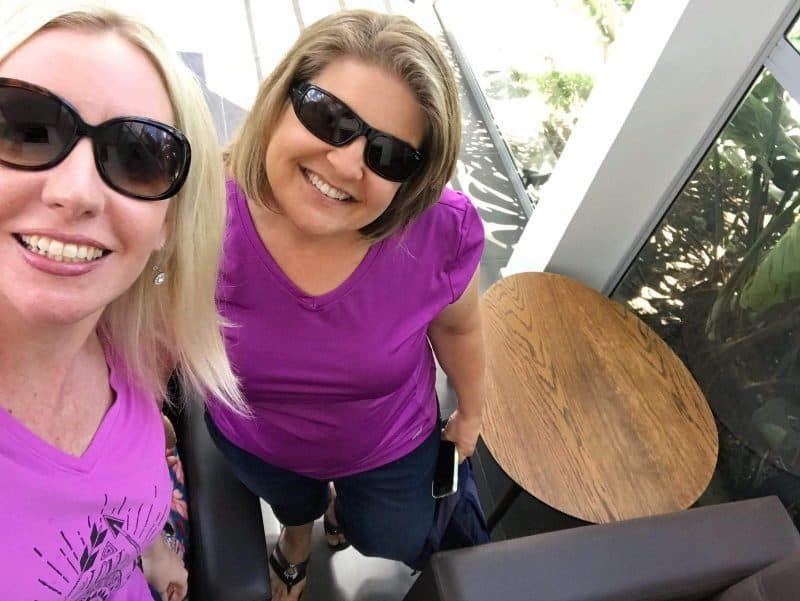 I first introduced you to the topic of Once Girls about a year ago, in this blog post. At that time, the niñas had just started school here in Medellin. From the very first day of school, the girls understood the revered status of the highest grade in school – once (“eleven” in Spanish – pronounced OWN-SAY). These girls are pretty much the Colombian equivalent of Pink Ladies from Grease. They even have their own jackets. My sisterwife (but not in the weird way) neighbor friend Jamie and I have total “Jacket Envy”. Jamie and I both live on the 11th floor of our building and we definitely need Once Jackets of our own. There are quite a few companies who will do the Once Jackets. 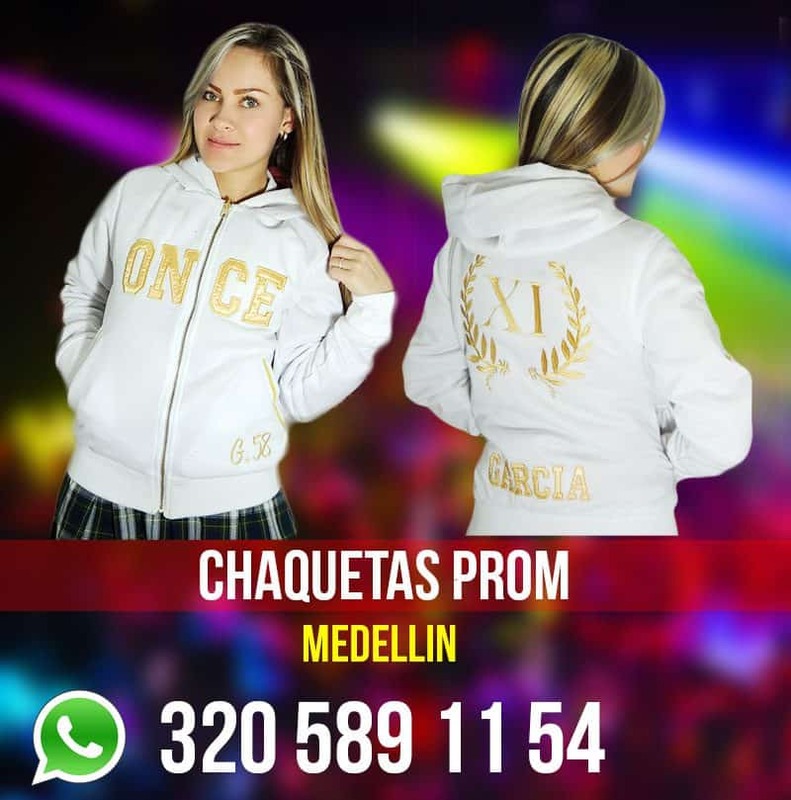 This one is called “Chaquetas Prom”. Marketing strategy: throw random English words in the business name even if they make no sense. As Haley worked her way through 10th grade, her classmates became obsessed with their preparations to be Once Girls. From day one of 10th grade there was the Jacket Conversation (italicized and bolded to signify its reverence). 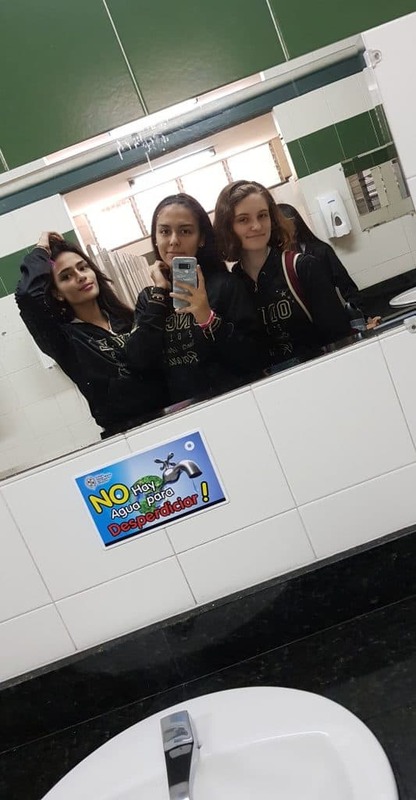 Planned during school and through the Whatsapp Group Chat, the girls decided on the types of jackets, colors, sayings, and everything in between. They had to make all the decisions for not one but TWO jackets. 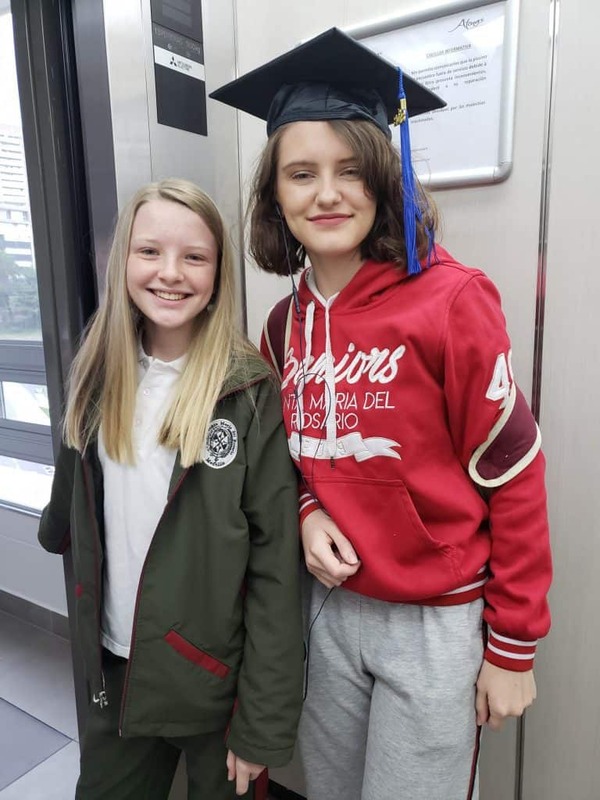 The hoody (buso) is worn with the PE uniform and the other chaqueta is worn with the skirt and vest. Because an Once Girl must show her status during ANY activity. Of course. This is Haley modelling the buso – hoody – when she got it in October. The girls were able to personalize the jackets with their name and any symbols they wanted. Haley chose a fish due to her passion for marine biology. 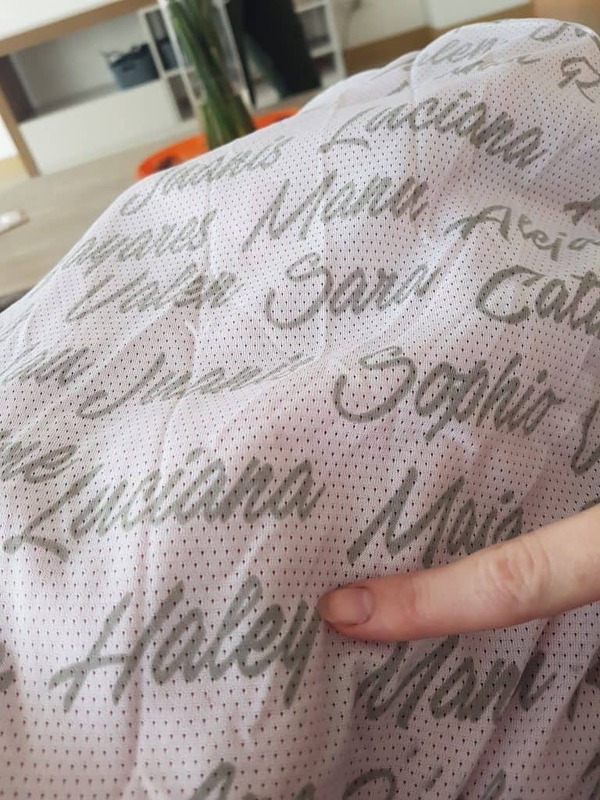 The inside of the hoody has all the names of the girls in class. This is the chaqueta, which is worn with the skirt and vest, on non PE days at school. 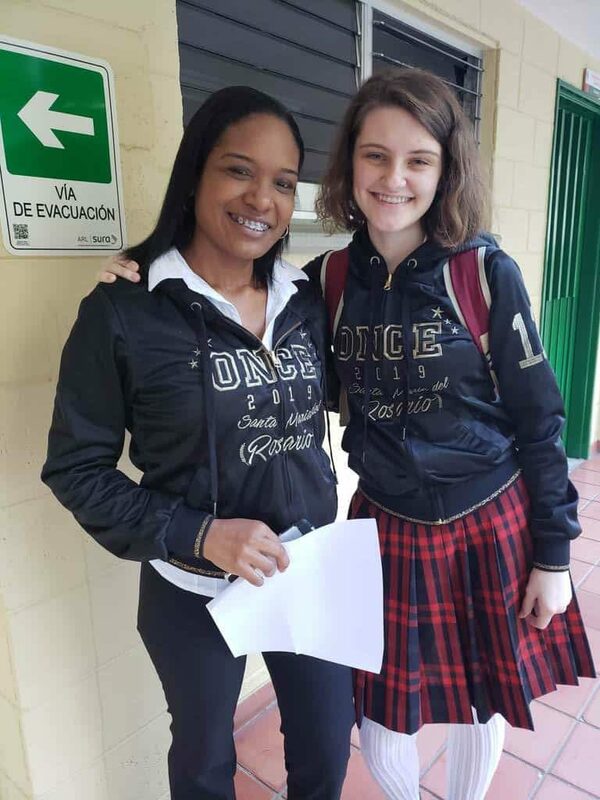 First day of school finally arrived and the new Once Girls had their grand entrance. It’s customary that the Once Girls enter the school on their first day of being Once in a very special and dynamic way. 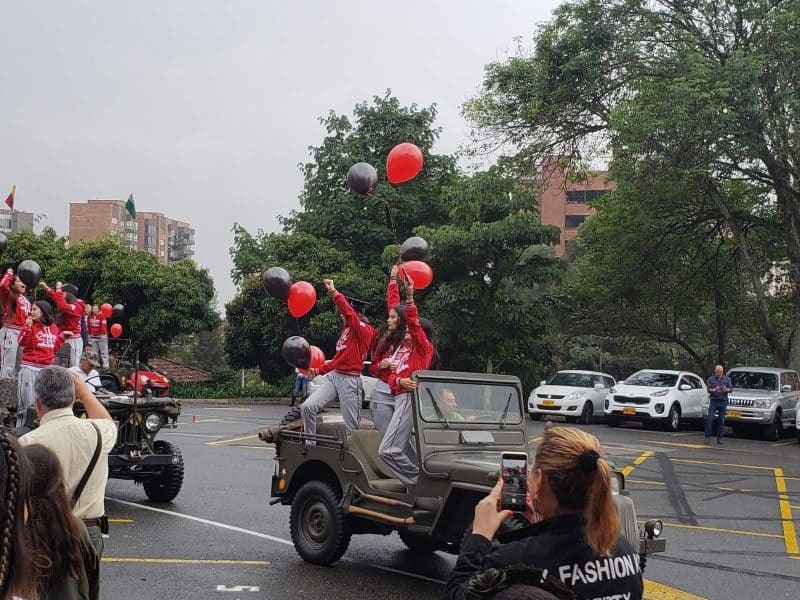 They had to choose the vehicle in which to arrive, the music, the choice of jacket and uniform and even the color theme for the day. The girls settled on US military jeeps as their vehicle of choice. This is a hard decision because as Once Girls you cannot be seen as copying the previous Once Girls. You have to do something different! And there are a limited number of vehicle types. They settled on military jeeps with 4 girls per jeep. I suggested Harley Davidson motorcycles but for some reason that didn’t fly. Clearly I need my own entrance. Jamie, are you taking notes for our entrance? Fun fact: throughout the chat regarding the vehicles, the Colombian girls referred to the vehicles as “Los Jeep”. Which, to a bilingual ear, is just funny because “los” is plural but “Jeep” is not. Who knows why! So the entrance was planned meticulously and the Once Parent’s Whatsapp Chat Group was more active than it had ever been. The parents were discussing how we would pay for Los Jeep, what color of balloons we would buy, how we would secure the balloons to Los Jeep and all kinds of other things I didn’t bother to translate. For the most part I kept out of the discussion, other than to note how much I needed to pay and where Haley had to be and when. Pico y placa is the traffic control system they use in Medellin and other cities as well. It restricts driving during peak hours depending on license plate number. Drivers are restricted twice a week during morning and afternoon peak times. Or if you are a taxi you have two entire days a month when you cannot drive. Evidently the driver of Los Jeep did not remember he had pico y placa? Dude, you had one job! Oh Colombia. You’re killing me with this right now! But the arrival of the Once Girls finally happened. Los Jeep pulled up, the girls were whooping and hollering, and pictures were taken. 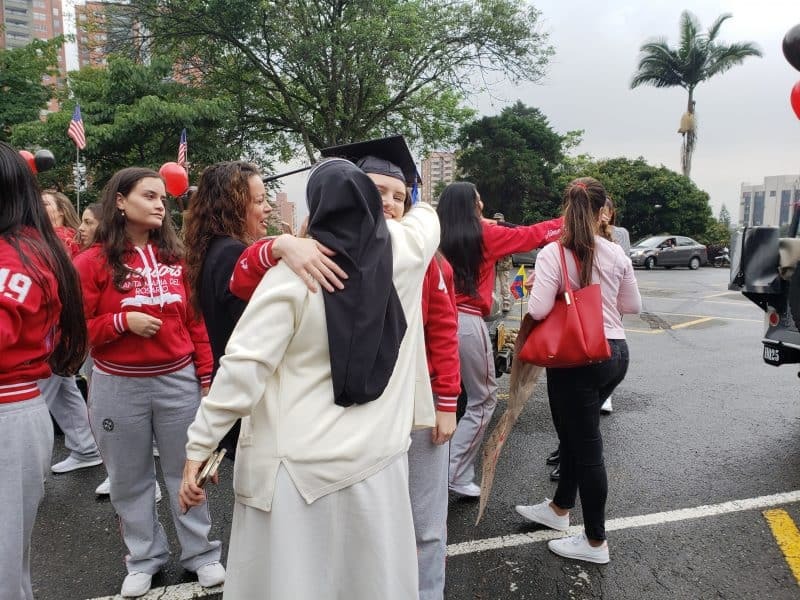 The school cheered them on, including the Directora nun who was watching it all from a high perch patio outside her office window. Just like the Pope. She came down for a few hugs before the girls went off to class. The school is waiting for the arrival of the girls. 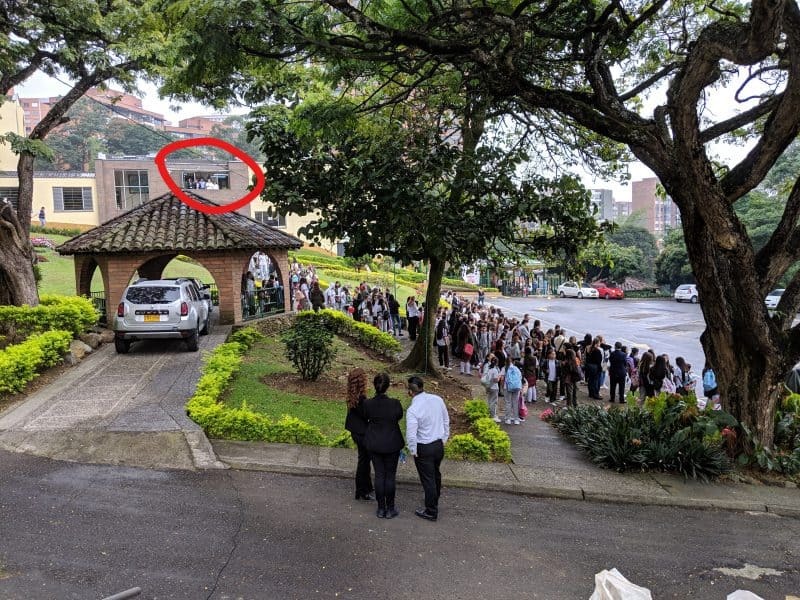 The red circle is where the head nun – the Directora – is waiting. Just like the Pope. Group pictures. Haley’s class is about half the size of Zoe’s. Haley and Los Jeep. From the USA…? Yeah, it’s complicated. Haley wore her graduation cap to make sure everyone knew that she was all done with her GED. Hugs from the head nun- the Directora. 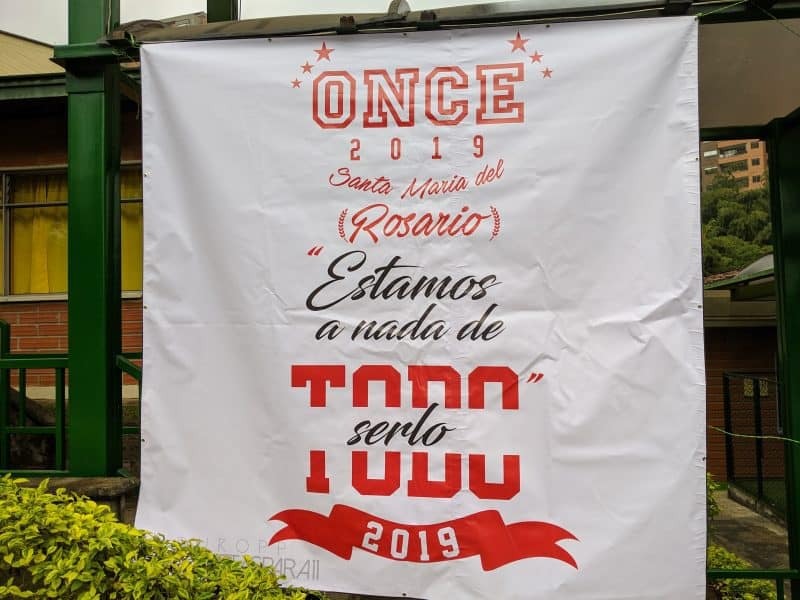 The Once Girls’ slogan. It’s hard to translate but it’s something like “We are nothing if we aren’t everything.” Haley did not vote for this saying. Video evidence of the Once Girls’ grand entrance. Haley is in the first Jeep, wearing the graduation hat. Once Girls have automatic right to public sound waves. When they enter the space with a speaker, any speakers previously playing in the area are turned off. They don’t do this through conversation, but merely playing theirs at a louder volume than whatever other music is playing. Without words, this effectively establishes dominance. 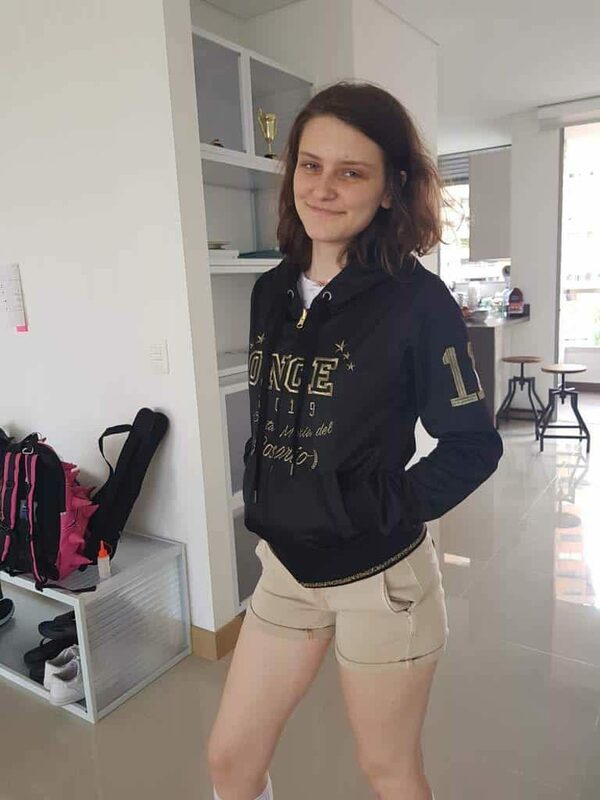 The jackets can only be worn by Once Girls – with one jacket that goes with the PE uniform and one that goes with the skirt. The jackets were not supposed to be worn before the first day of school, but Haley wore hers to the mall a few times over Christmas break. One time she ran into a classmate. Oops. Once Girls get to decide on things like street clothes day and whether they’ll have a prom or a yearbook or both. Once Girls are the only students that can run for school president. There might be way better candidates in other grades, you say? We agree, but it’ll never happen. Finally, we realized that the jackets are to be worn ALL THE TIME, ALL DAY. The girls cannot pass up even a single moment of reminding the entire school of their position. The red buso – hoody – is quite heavy and warm but the girls suffer for the status and keep it on all the time. Bathroom selfie of Haley and some of the other niñas. With all the same black jacket, it’s hard to know where one begins and the other ends. Haley only has six weeks as an Once Girl before we leave Medellin, but she is enjoying her queen status while she can. Zoe reminds her that her Once status is not applicable at home. Jamie and I remind all Sherman and Cate family members that if there are any Once Girls on our floor, it’s us. No matching jackets… yet. But we’re practicing by wearing matching shirts.